Succulent gardens have been on the rise recently. It's no wonder because they're extremely easy to care for, and make great centerpieces for your home. They're a lovely way to bring the outdoors in, and make you feel like a master gardener - even if you don't have a green thumb! I've been obsessed with Succulents lately. 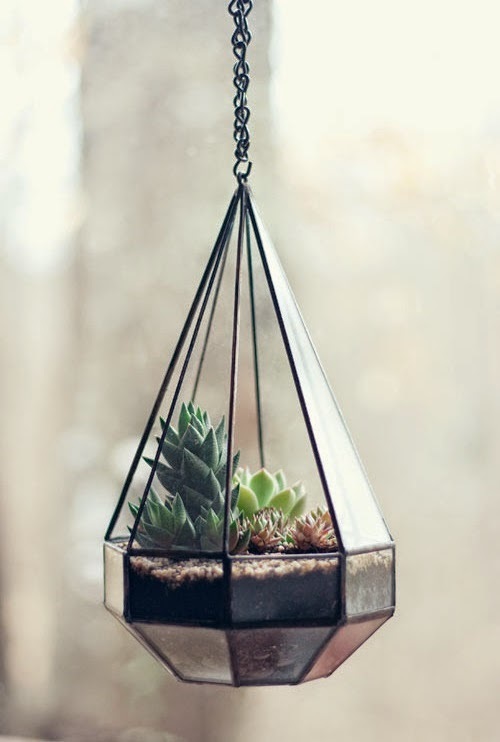 But I want to make sure that if I make an indoor terrarium, it looks chic & unique, and not just planted in a old ceramic pot somewhere. So here are 7 ideas I found and loved for a little display inspiration! 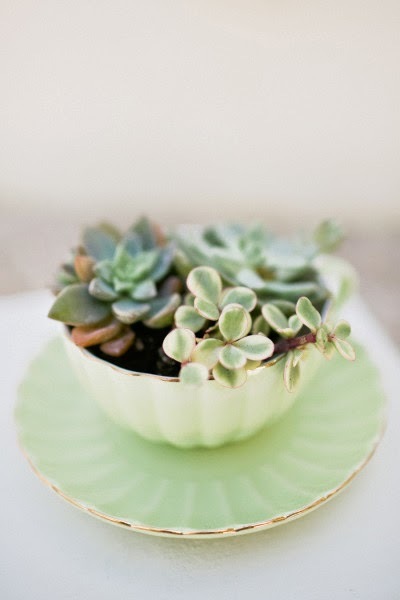 How pretty and delicate do these succulents look in a tea cup and saucer? Adorbs. 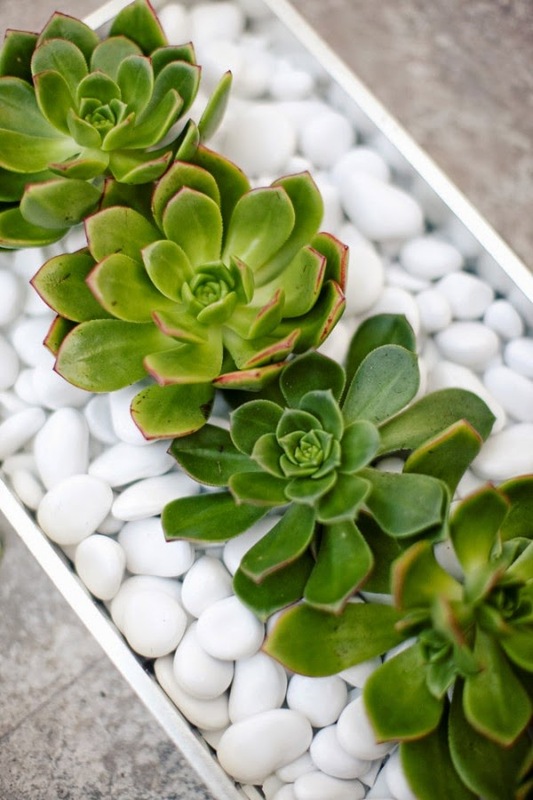 These bright green Sempervivums look gorgeous against a white rock bed. Such a unique way to display your terrarium. 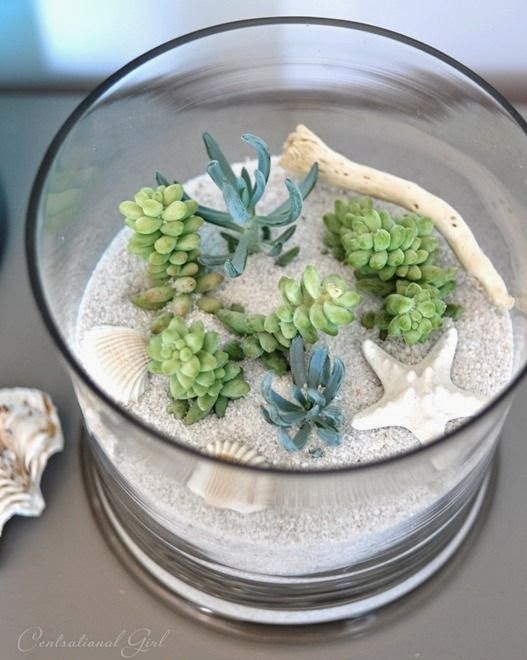 Adding white sand, seashells, and drift wood creates a charming coastal vibe. Don't complicate things. 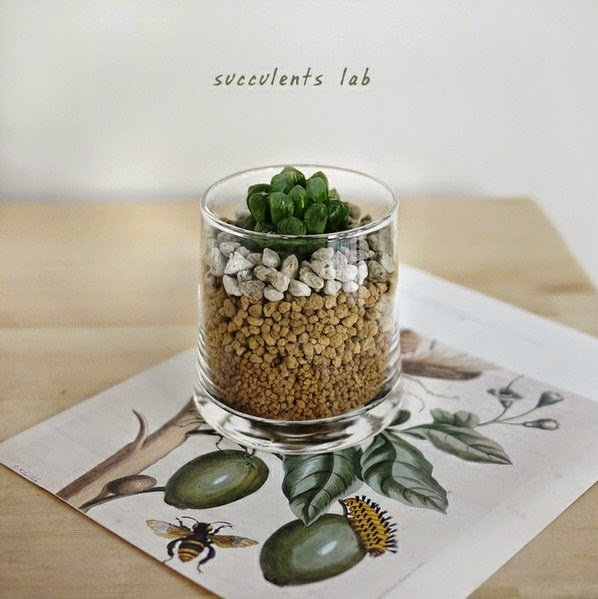 A simple drinking glass creates a lovely home for your succulents too. Super easy and chic! 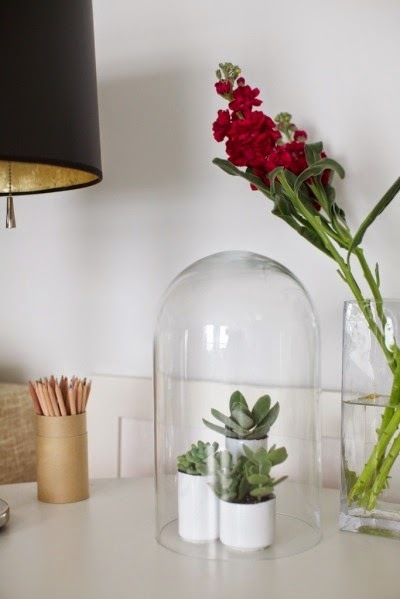 Place a bell jar over the succlents and you're done! 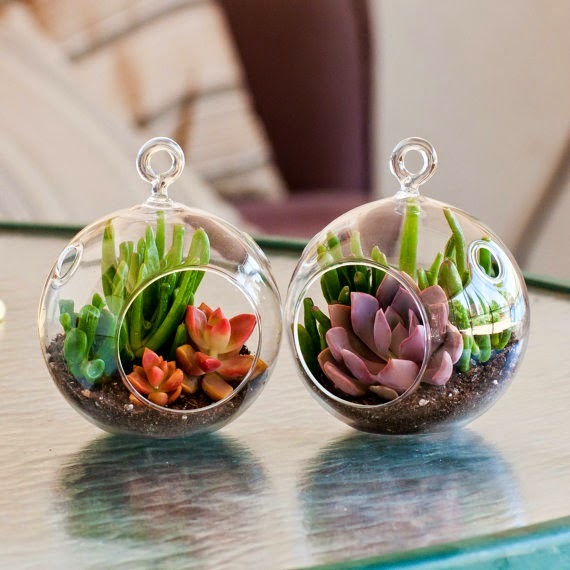 These mini globes come are a succulent kit and are so cute and petite. 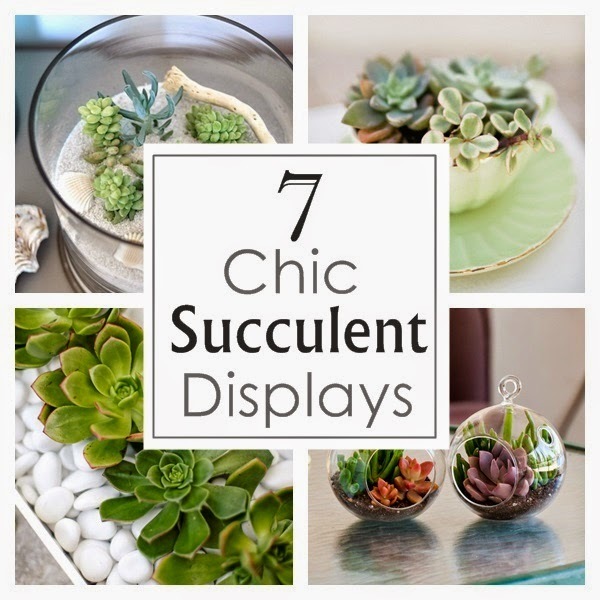 Which succulent display do you love?